Everyone will agree that house windows are a very crucial part of a residential building. As a homeowner in Enumclaw, WA, you would want your home’s windows to be the strikingly beautiful, and also air-tight and strong. Builders Service Company is the region’s leading home improvement expert who can give you the window that you want. As an exclusive dealer of Premium Preservation replacement windows, we fit your home with the one of the highest energy star rated windows. We have been serving the community since 1974. We believe that the secret of our success lies in our determination to provide quality house windows at great prices, and backing our services with exceptional customer support. Are your home windows old and drafty? If yes, then they must be costing you a lot in terms of your cooling and heating bills. And you cannot deny that they must be causing you quite a lot of stress too. Maybe it is time you considered replacing the windows to make your home more comfortable and economically maintained. 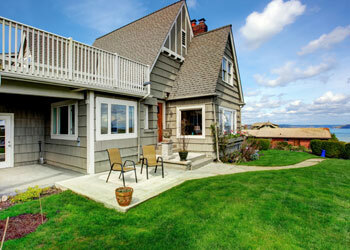 Builders Service Company offers the residents of Enumclaw wonderful options in house windows. You will love our Preservation window collection that enhances your home’s exterior appeal, while helping you have a warmer home even with considerably lower energy usage. Why Choose Builders Service Company in Enumclaw? Sincere commitment to customers is what has made Builders Service Company the first choice of the residents of Enumclaw to fulfill all their window requirements.